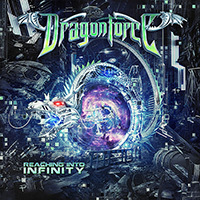 Long running Grammy-nominated extreme melodic power metal band DragonForce release their seventh album, ‘Reaching Into Infinity‘, on May 19. Once again recorded with Jens Bogren (Opeth, Katatonia, Soilwork), the producer extraordinaire who helmed the UK-based group’s now three-year-old previous record ‘Maximum Overload‘, it will be available via earMUSIC in Europe, Metal Blade Records in the United States and Roadrunner in Japan. 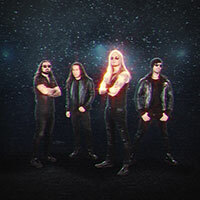 ‘Reaching Into Infinity‘ introduces Italian drummer Gee Anzalone, who joined the band for their first ever ‘best-of’ collection, ‘Killer Elite: The Hits, The Highs, The Vids’, released in 2016. 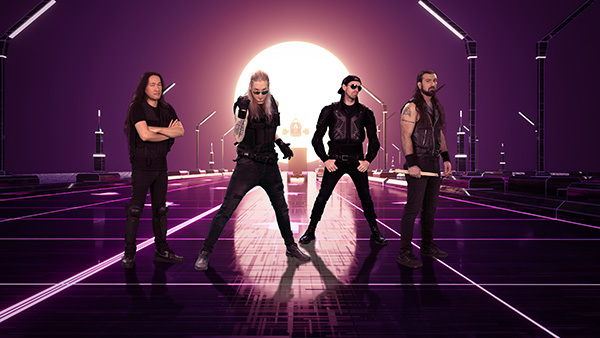 It’s the third DragonForce album to feature frontman Marc Hudson, whose reign at the mic now enters its sixth year. 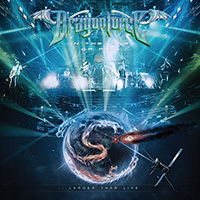 Musically speaking, ‘Reaching Into Infinity‘ continues where DragonForce left off with ‘Maximum Overload‘, the band’s faster material becoming even faster still, while the melodic parts head even further in that particular direction. 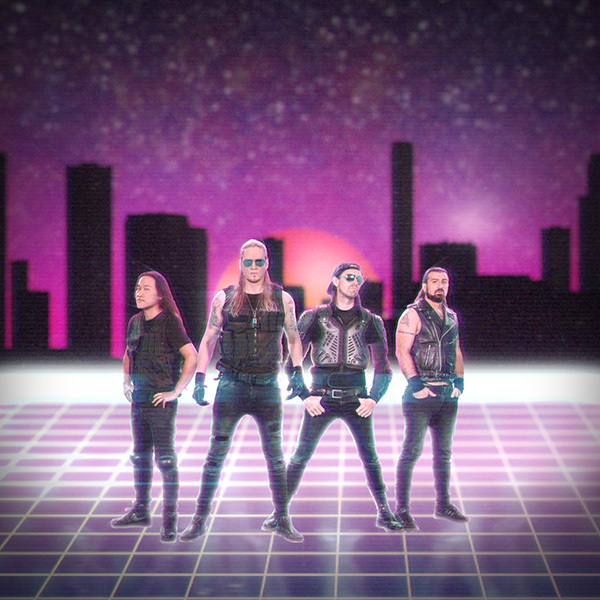 The band offer no apologies for the inclusion of a 1980s rock-style ballad entitled ‘Silence’ and, at the other end of the spectrum, there’s even an 11-minute multi-tempoed monster called ‘The Edge Of The World’. ‘The Edge Of The World’ is extremely ambitious, channelling growled vocals from Hudson and fusing them with a stunning arrangement that twists and turns like the proverbial dragon’s tail. The ‘Force go prog-rock, anyone? 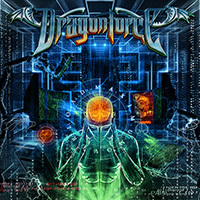 The title corresponds with the album’s highly impressive sleeve art, which features a dragon bursting through a wormhole into a hi-tech, futuristic cityscape. The bulk of the album was laid down at Fascination Street Studios in Sweden, though additional parts were cut in studios around the UK and in California. They had to be – “Since ‘Killer Elite’ it’s been non-stop for us,” Li comments. 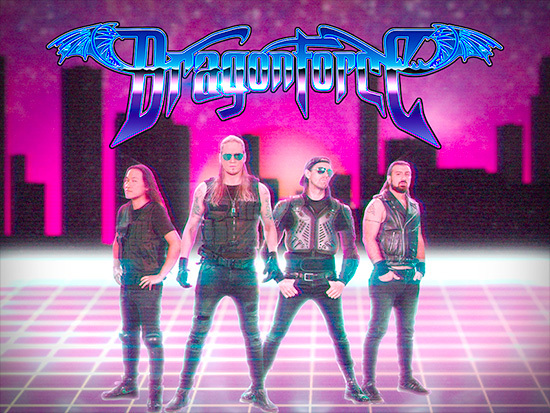 Expect many of these songs to become firm live favourites, particularly the super-fast ‘Midnight Madness’ (feted as the album’s second video track), when DragonForce hit the road again. As usual, their itinerary will take them to the four corners of the world.